[post_ads]Finding pocketbook-friendly airfare during the summer has always been difficult, but with rising fuel prices, customers can expect to see seasonal price hikes continue into the fall. So book now. Don't put it off. Thrifty customers sometimes wait to find cheaper tickets from last-minute deals. But with fuel prices on the rise, Henry H. Harteveldt, president of the Atmosphere Research Group, encouraged consumers to buy if they see a fare they like. McGee also says that even if fuel prices suddenly dropped, the change might not benefit the average flyer’s wallet. According to the Bureau of Transportation Statistics, the cost of fuel per gallon on domestic flights rose almost 23 percent last year over the summer. International flights saw a similar increase of just over 23 percent. 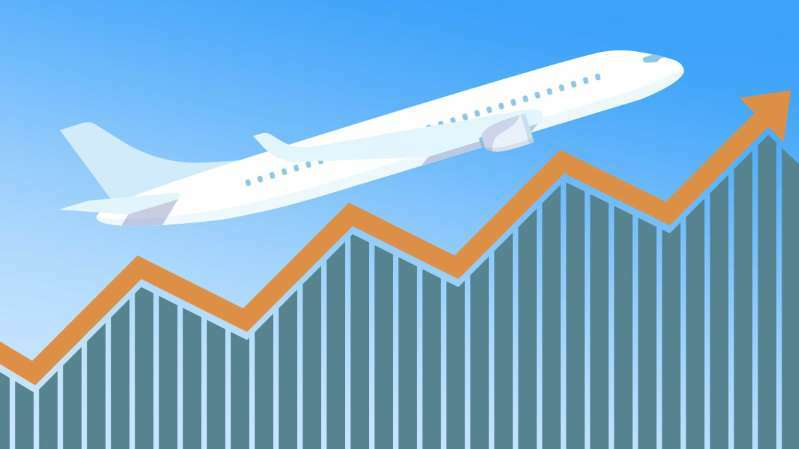 Despite anticipating relatively high fuel prices, says George Hamlin, who is the president of Hamlin Transportation Consulting and tracks changes within the airline industry, he doesn’t expect many travelers to alter their arrangements. The data from industry representatives seem to agree. Airlines for America released its Summer Air Travel forecast, predicting a 3.7 percent increase in passengers from June to the end of August. This would bring the overall number of U.S. airline onboard travelers to 246 million, up from 236 million in 2017. What can consumers do to keep costs as low as possible? He says a possible fuel surcharge fee can ruin an otherwise well-budgeted plan. “This is where budget-focused travelers may need to be concerned,” says Harteveldt. “The fuel surcharge is only shown when you go to check out.” He added that he’d seen incidences of fuel surcharges of $400 or more. McGee cites this as a reason more transparency within the industry is necessary. “It’s become very hard for consumers to obtain the full price of airfare when they’re shopping and booking online,” he says, “because of all of the fees that have been added in recent years. “Online, either on the airlines’ own sites or third-party sites like Expedia, it’s become difficult to say, ‘This is what I want’, and get a price,” says McGee. Harteveldt reminds customers who planned ahead that they are in the clear.